Capacitive sensors from Micro-Epsilon have proven themselves in many different applications over decades. Reliable technology enables the sensors to be used in safety-critical areas. More than 25 standard sensors with measuring ranges from 50µm to 10mm cover numerous fields of application. 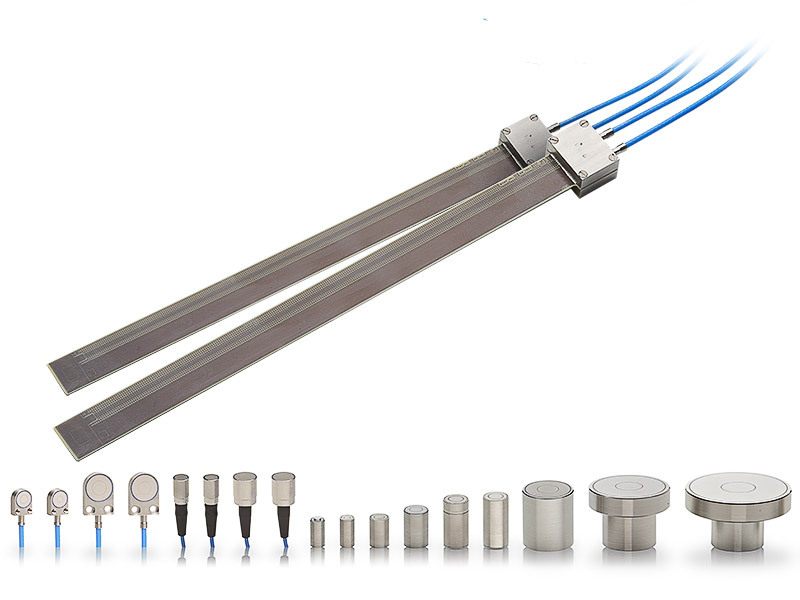 These sensor models are available as cylindrical versions with connector, as well as with integrated cable, as a flat sensor and in PCB designs. The completely triaxial sensor design is unique for capaNCDT sensors (also called probes), where the guard ring electrode and the grounding are also located on the front edge of the sensor as well as the measurement electrode. This means capacitive probes can also be installed completely flush in conductive materials. The capacitive measurement probes can also come into contact with each other in the case of multi-channel measurements. Interference of the measuring field is reliably prevented by the triaxial design of the capacitive sensor. 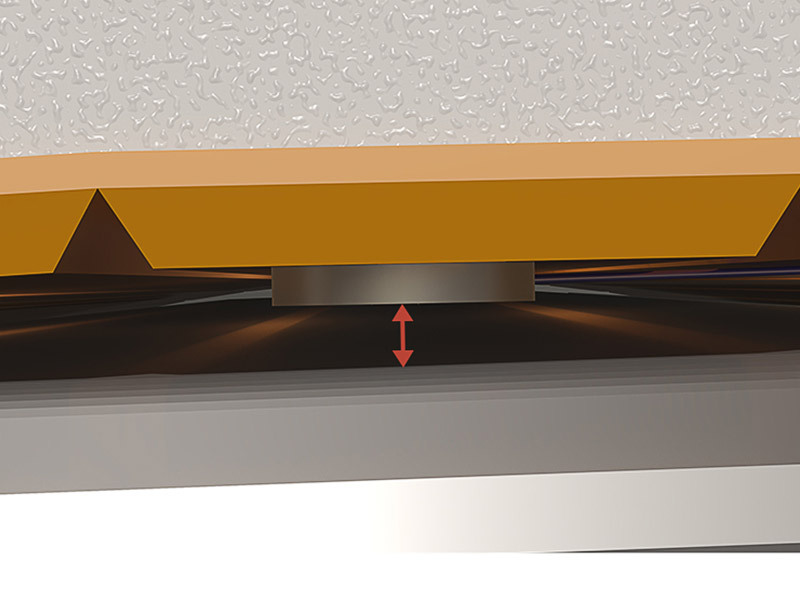 Compared to other non-contact measurement techniques, capacitive displacement measurement is characterized by extreme precision and stability of measurements. As thermally induced conductivity changes of the measuring object have no influence on measurements, the principle is also reliable even with fluctuations in temperature. As well as temperature stability, the long-term stability ensures reliable operation over many years. In numerous companies, capacitive sensors from Micro-Epsilon have worked reliably even after decades of use, without having to replace any parts or components. This means that maintenance and replacement costs are minimized. Since the measurement can be carried out with all conductive objects, there is no interference caused by e.g. the optical characteristics of the target. Therefore, even transparent and reflecting surfaces can be detected at maximum precision. The capaNCDT controllers from Micro-Epsilon are considered as the most modern electronics for signal processing. In particular, their ease of use and compatibility of the product range distinguish these controllers from others. 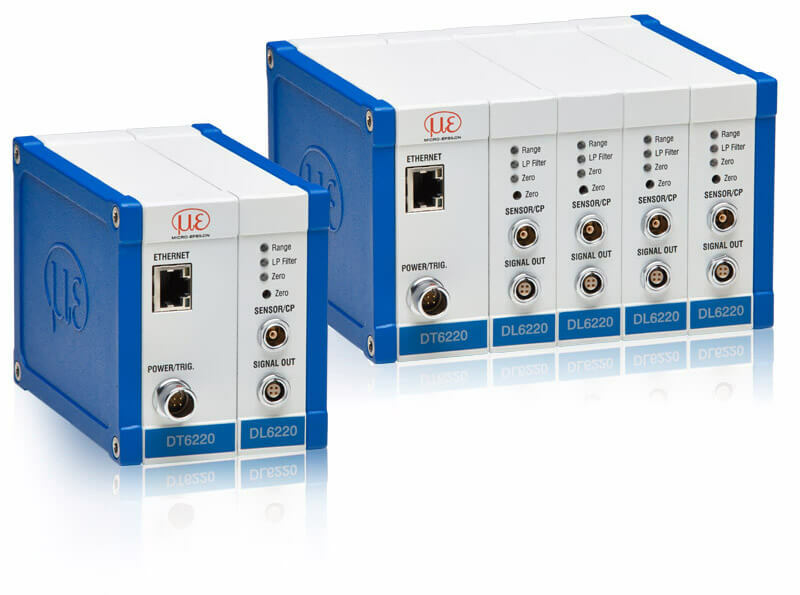 Multi-channel controllers are used in many different measurement applications, for example, in two-sided thickness measurements. As all channels within the controller always operate synchronously and because synchronizing multiple controllers is very simple, failure-free operation is guaranteed. Computing functions enable the controller to carry out mathematical functions. capaNCDT components are completely interchangeable, without requiring complex calibration. Complex settings via jumper or rotary controller are unnecessary. The exchange of sensors, cable or controller is carried out within a matter of seconds. As all components are mutually compatible, even sensors with different measuring ranges can be connected to the controller quickly and easily. Micro-Epsilon offers numerous capacitive sensors and sensor cables which are made from non-magnetic materials such as titanium and stainless steel. In addition, the triaxial design of cables and sensor provides increased interference immunity. Capacitive displacement sensors from Micro-Epsilon have proven their worth for measurements of superconductive magnets at -270 °C. In the industry, the capacitors are used for rotor gap measurements in large engines and power units where other measuring techniques are operating at their limits due to the influence of the magnetic fields. Capacitive displacement sensors are often used in vacuum and clean room applications where they achieve resolutions in the subnanometer range. That is partly due to the fact that the measuring gap is free of particles which otherwise might influence the performance. 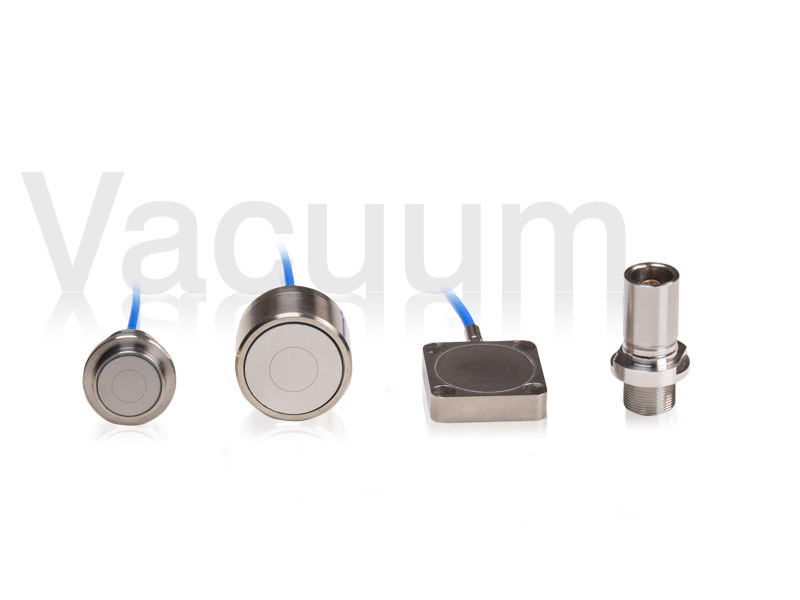 Particularly for vacuum applications, Micro-Epsilon offers special capacitive probes and accessories which are particle-free to a high degree and can be used in clean rooms up to clean room class ISO1. Special vacuum feedthrough types ensure that the sensor cable can be led outside to the controller. For the different plug models of the Micro-Epsilon cable, suitable feedthrough types are available.